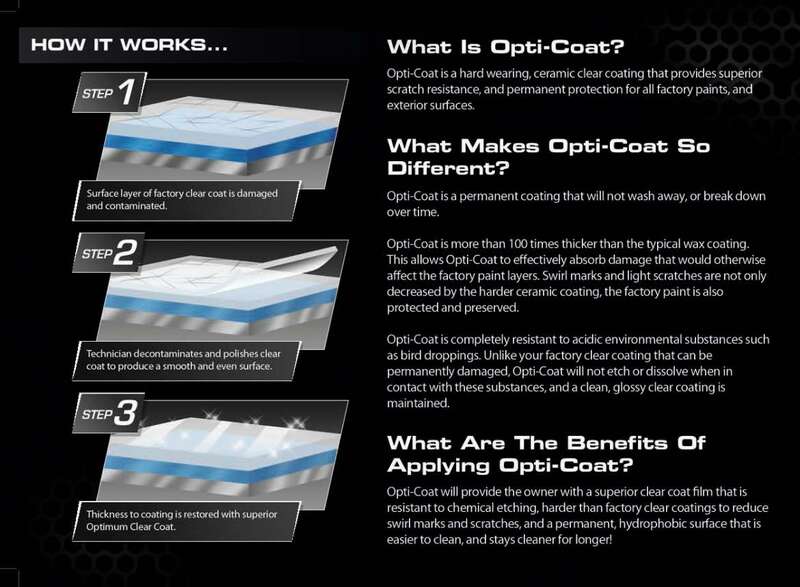 What are the benefits of Opti-Coat Pro and Opti-Coat Pro Plus? Opti-Coat Pro™ is a hard-wearing, ceramic clear coat for superior resistance to scratching (9H) and protection from chemical etching due to environmental impacts. The Opti-Coat Pro™ pre-polymer cross-links and forms a continuous protective film on the painted surface it is applied to, similar to a single component isocyanate that forms a clear coat finish. 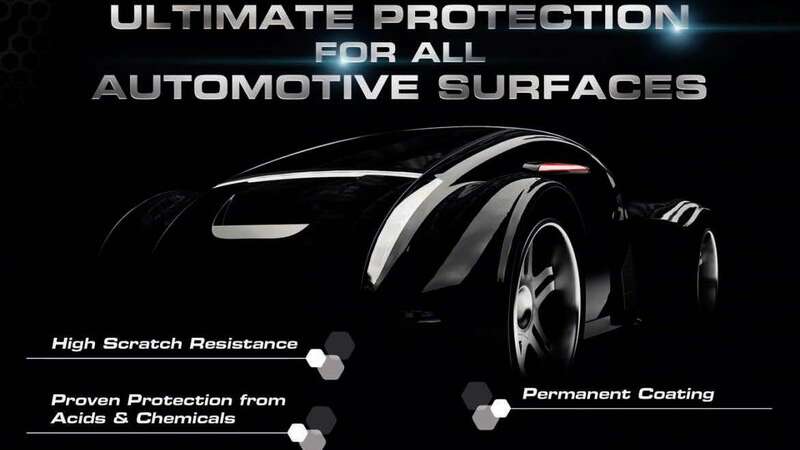 Opti-Coat Pro™ has better chemical resistance, scratch & mar resistance and release properties than any automotive paint coating in use and comes with a 5-year warranty. It provides permanent protection for all modern factory paints and can also be used to protect metal and hard plastic surfaces. Opti-Coat Pro Plus™ delivers More Gloss & Greater Protection! The Opti-Coat Pro Plus™ Ceramic Paint Protection package now delivers even more gloss and slickness than ever before, while still maintaining the same chemical structure that has made it renowned as the ultimate protective paint coating.